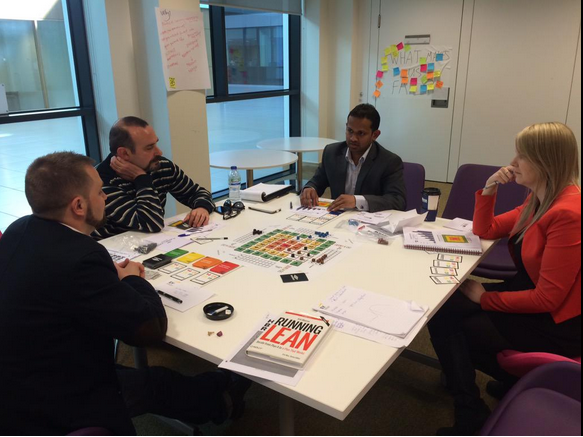 Yesterday, I was lucky to be in a group of people playing a great new educational game, Playing Lean. Helped by Raomal and Tore we engaged in a fun and exciting strategy game to sell our product to more and more customers, starting with innovators, moving to early adopters and eventually conquering the masses. To do that we had to run experiments and build features. While doing that we talked about validating problems, customers interviews, A/B testing and other very interesting Lean Startup topics. Our experiments were run in a Build Measure Learn cycle and customers feedback was used to build our features. One other thing I liked was that the game rewarded the player that chose a lean approach to build his product, by delivering only the features necessary and in some cases less features meant more customers! I can see a bright future for the game as a training platform for the Lean Startup methodology and if I could i would organise games in Paddy Power right now. I am looking forward to be a supporter at the new Kickstarter that Playing Lean are running soon and look forward to using the finished product in the future. 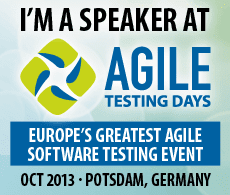 ← Executable specifications – what would you do? Augusto Evangelisti played the game yesterday, this is his thoughts about it. Thanks for sharing Augusto!